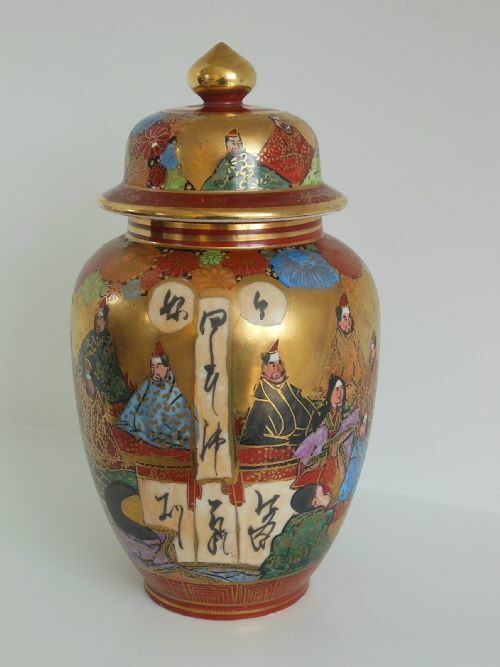 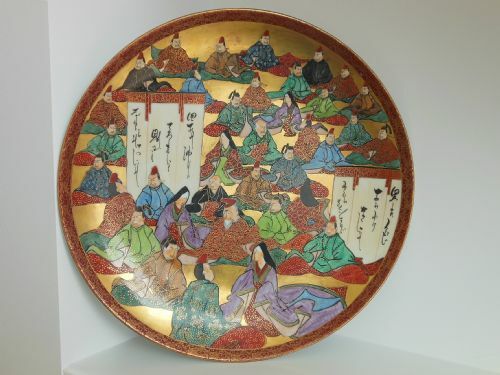 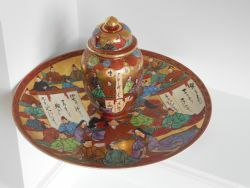 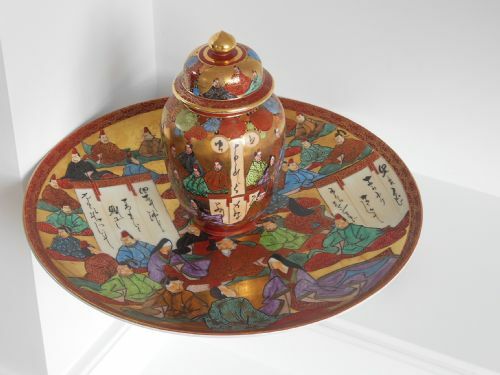 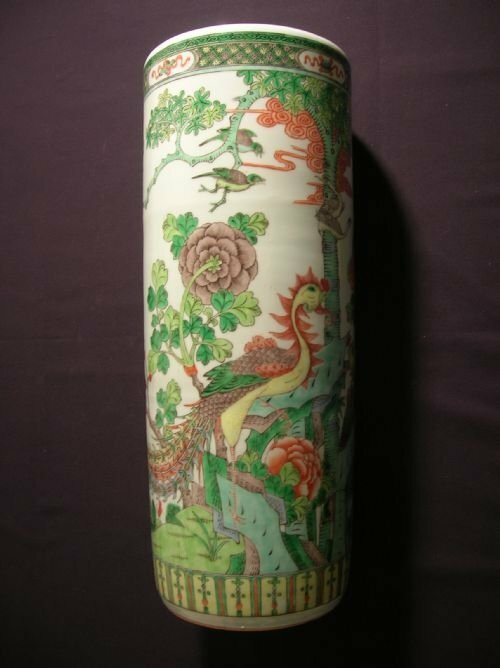 Late Meiji period and signed, this is a very large Kutani charger and vase with cover featuring "The Immortals". 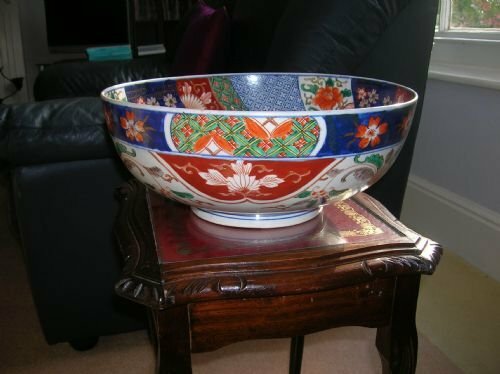 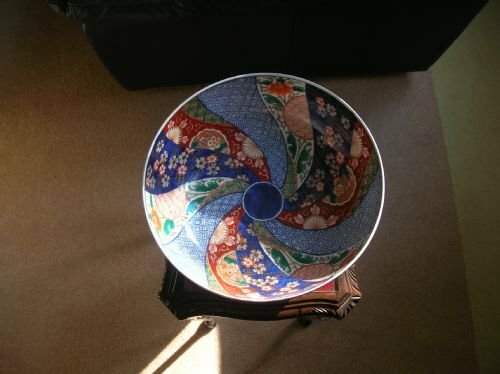 Dating to the late 19th or early 20th century, this large Japanese Imari patterned fruit bowl is in very good condition with no chips or cracks. 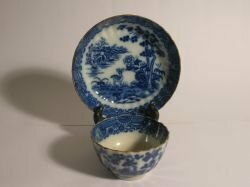 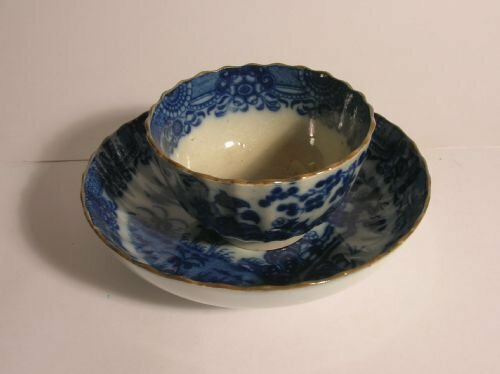 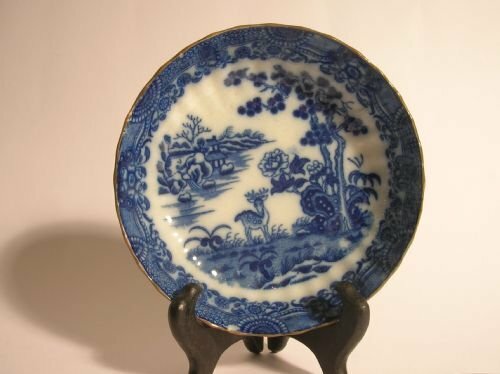 Blue and white Chinese tea bowl and saucer, Qianlong period about 1750, porcelain made for export, dear and house pattern, probably from one of the recovered cargoes such as the Nanking. 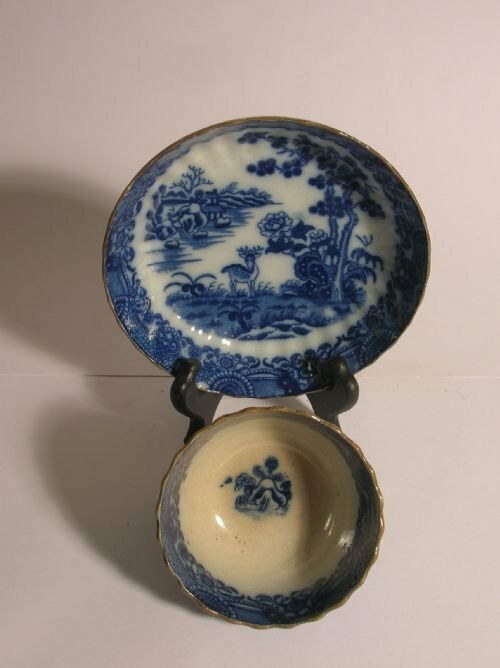 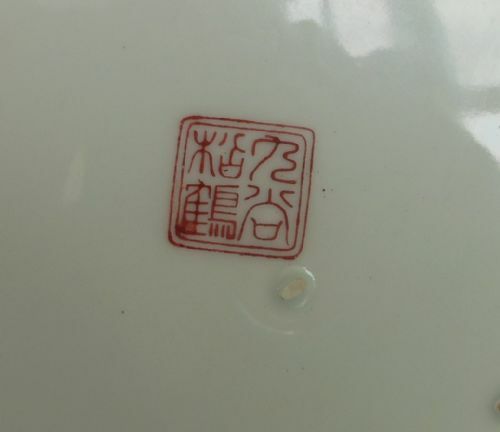 As you can see from the pictures the bowl is a little discoloured due to probable long term immersion in the sea. 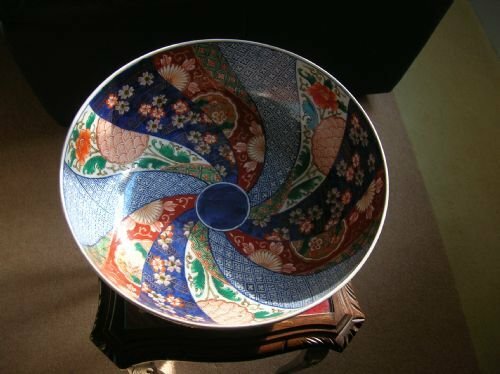 It is in very good condition, with no chips or cracks. 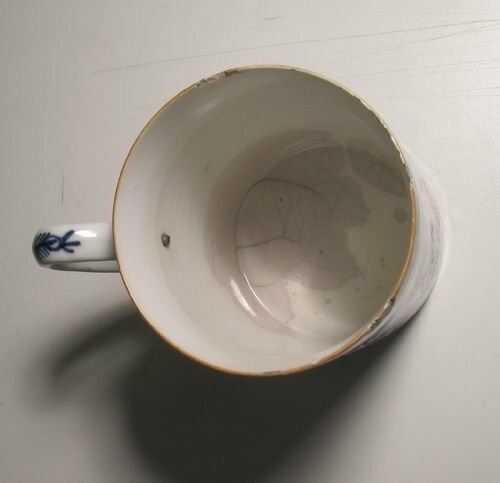 There are a number of rough areas on the edges but these are firing imperfections. 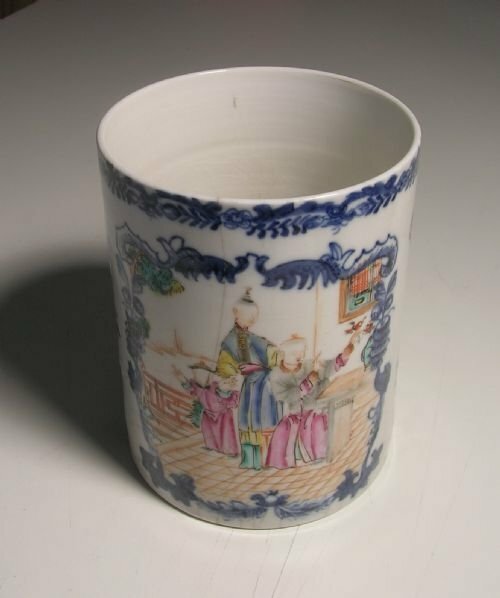 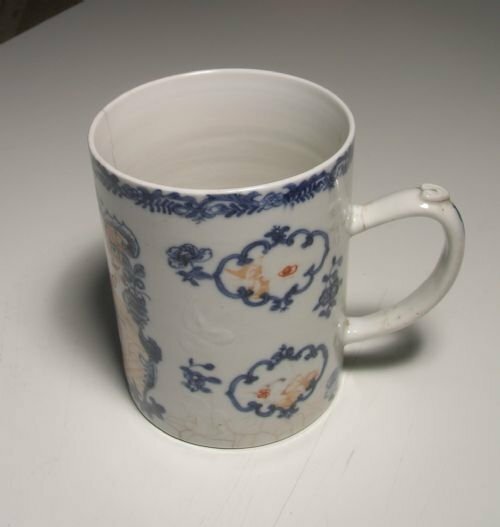 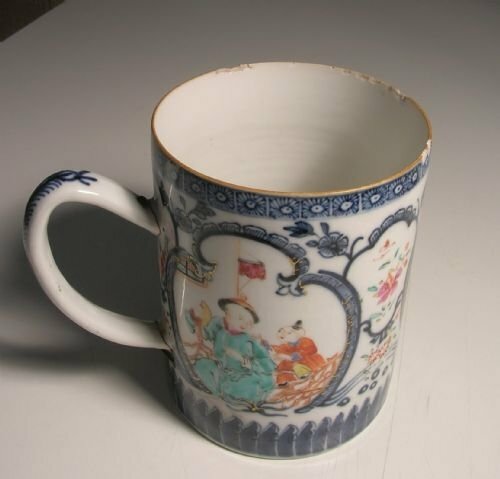 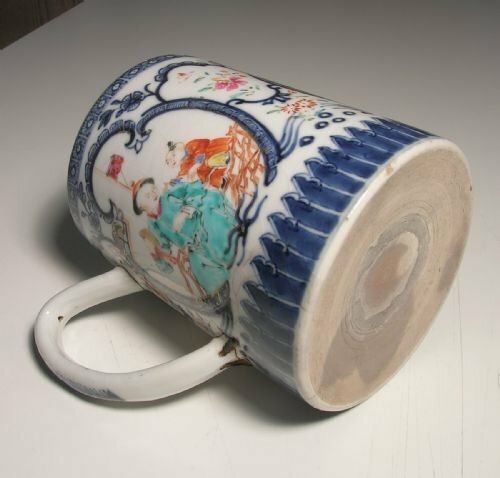 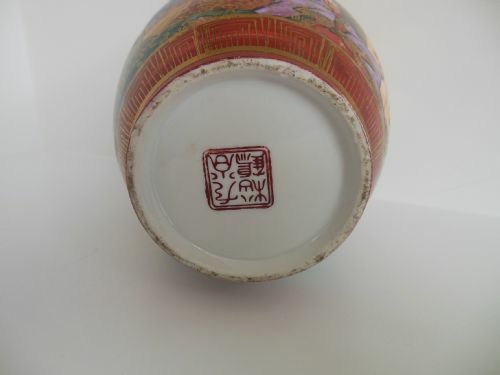 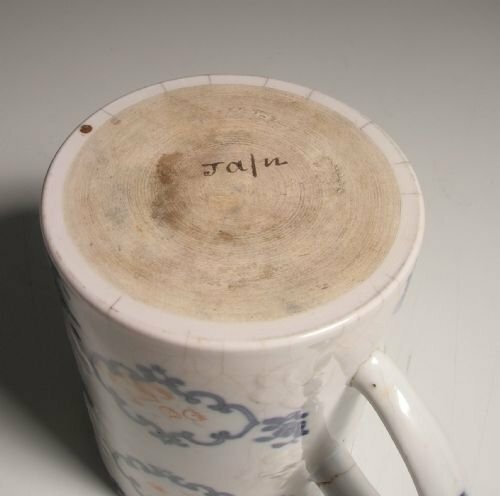 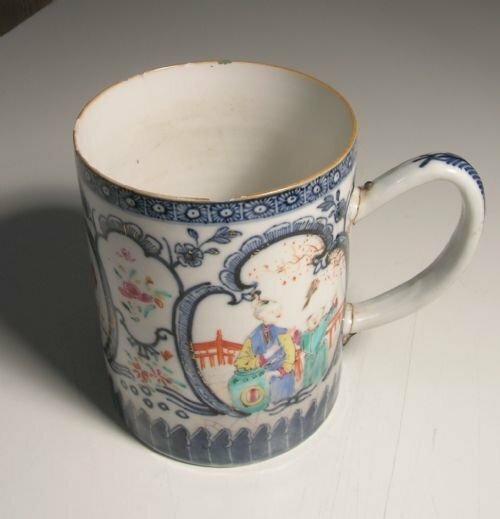 Qianlong Famille Rose Canister Mug. 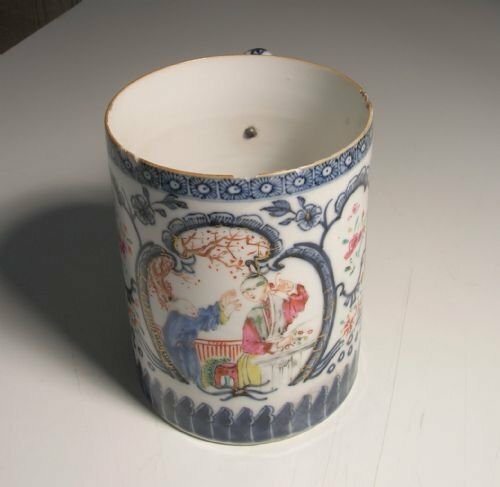 thought to be circa 1780. 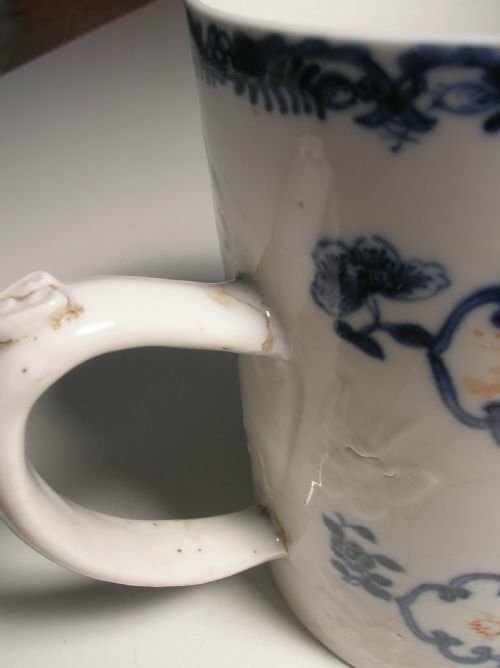 The handle has been re-attached, this is an old repair as evidenced by the presence of metal rivets, there are some chips to the rim. 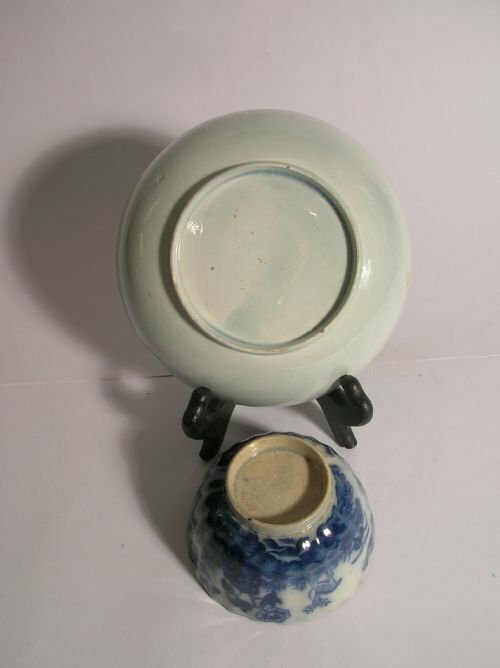 Size - 6"(15cms) high, 4"(10cms) diameter. 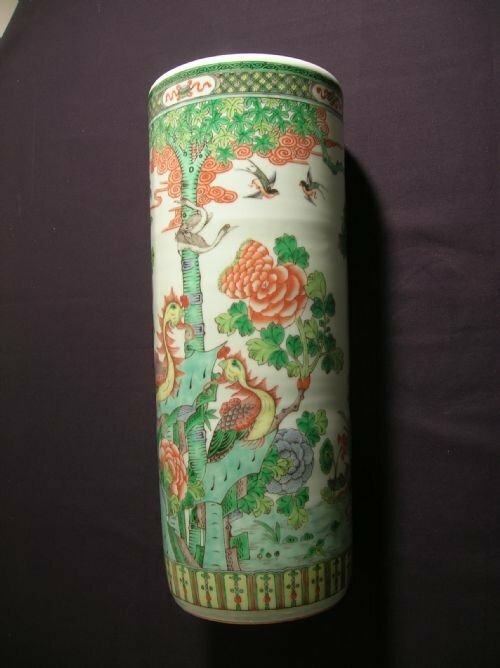 Qianlong period thought to be about 1780. 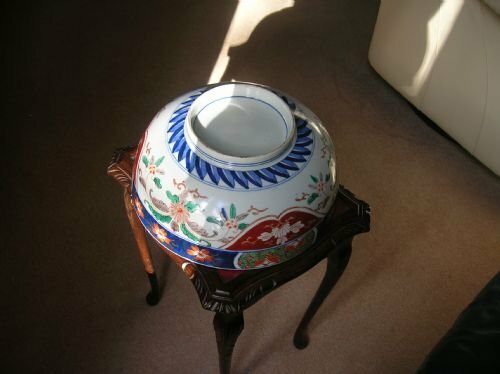 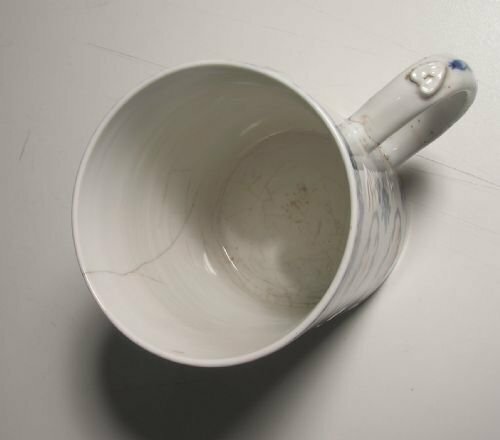 The handle has been re-attached and there is a fracture line inside the bowl.